I’m a born problem-solver, always looking for patterns, connections, relationships, and solutions that create order from chaos. I’m also a Gemini which beautifully captures my on-the-go personality with an innate need to have several projects on the go at once! And while I’m not a die-hard astrologer (actually, I know very little about it) I love the duplicity of the Gemini sign which totally reflects my ability to move between logic (‘geek’) and intuitive woo. I’m a country girl and still love farm life, although these days I do very little hands on. My problem-solving logic took me from the country environment into a world of information and records management: systems, structure, processes, and project management. Everyday I’d help people organise their business information, so they could find what they wanted when they needed it. I loved connecting people with their solution! Paralleled with my corporate career was a growing interest in personal development, healing, and the relationship between emotions and physical health. It was a whole new world of patterns, connections, relationships, and problem solving - and I loved it! So, I left corporate and retrained in coaching, kinesiology, aromatherapy, and massage…and found myself back in a problem-solving career – but this time it was helping people create order out of the chaos of their lives. I love my job. I love helping people discover what they want and make the changes that need to happen to get there. It’s a fantastic combination of project management and soul-searching (i.e. logic and woo) – right up my alley! It's a soul-deep amazing feeling to see someone shift from not knowing who they are and what they want to do with their life, to absolute clarity, commitment and action. To be in the same room with someone as they go from strung out, stressed, and emotional to calm, relaxed, and connected. To hear stories from clients of their personal successes and achievements as they live the life they truly love. It's absolutely awesome! But, enough about me – I want to know about you! What brings you here? Is there some part of your life you’d like to change or do differently? 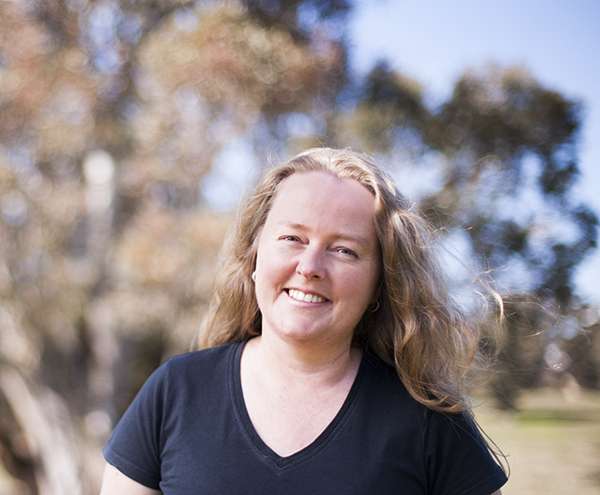 I’d love to hear from you – drop me a line at gillian@soulexperience.com.au and introduce yourself.